Published on Monday, September 14, 2009. This article appears in the October/November 2009 issue of American Craft Magazine. 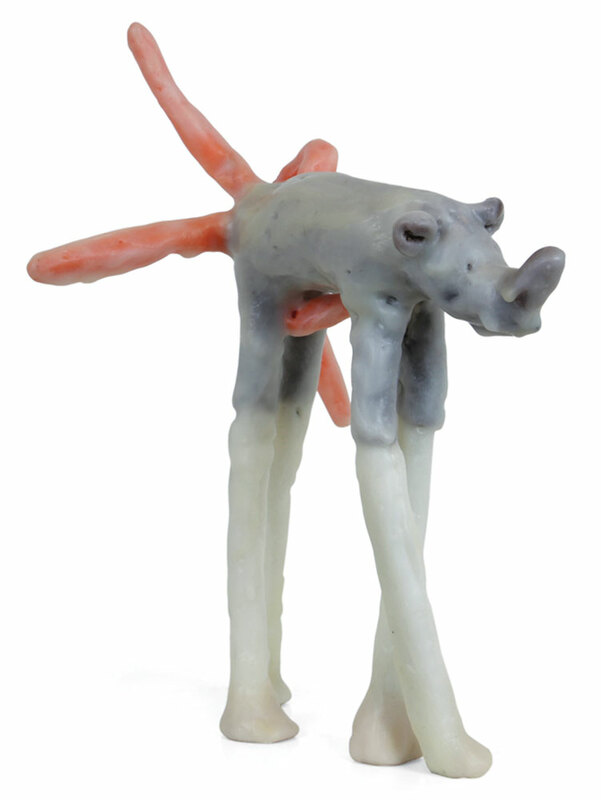 Kresge Foundation fellowship recipient, Sioux Trujillo's Rhino/Squid, 2008, encaustic paint, cotton, thread. Photo/Joseph Ferraro. The architect Sidney Swidler fell in love with contemporary ceramics in the 1980s, and eventually amassed some 800 pieces by 300 artists from the U.S., Canada, Europe, Japan and Australia. Now retired, he has made a gift of his collection to the Crocker Art Museum of Sacramento, ca, where it will be featured as one of the inaugural exhibits in an addition set to open next year. As artists struggle through tough economic times, some relief comes in the form of grants from organizations like the New York Foundation for the Arts, which this year gave $7,000 each to 134 individuals for excellence in their respective disciplines, including Emily Barletta, who made Horizon, and 13 others in the crafts category (For the complete list, visit http://www.nyfa.org)… The largest annual artist fellowships in the nation currently come from the Pew Charitable Trusts, which in 2009 awarded $60,000 each (an increase of $10,000 over last year) to 12 Philadelphia-area recipients in painting, playwriting, and folk and traditional arts–among them Vera Nakonechny, a master of Ukrainian embroidery (http://www.pewtrusts.org)… The Kresge Foundation’s new fellowship program, administered by the College for Creative Studies, has awarded $25,000 apiece to 18 Detroit-area visual artists, including Sioux Trujillo, who made Rhino Squid. 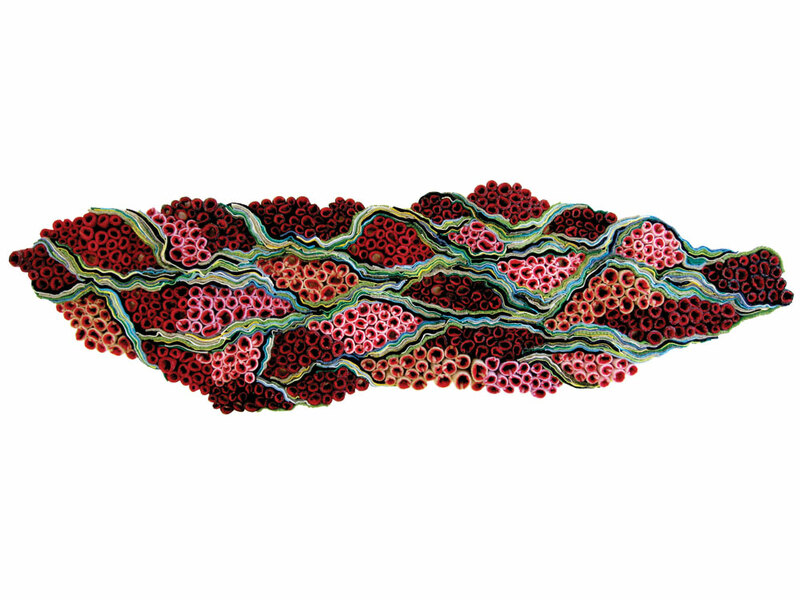 (http://www.collegeforcreativestudies.edu). Diane and Marc Grainer will be honored for their support of the Mint Museum of Craft + Design at the annual Mint Condition gala October 3 in Charlotte, NC, where the museum’s Founders’ Circle will present them with its McColl Award. Avid collectors and advocates of fine craft, the Grainers have played leadership roles in organizations such as the James Renwick Alliance, Furniture Society and American Craft Council… The Craft Emergency Relief Fund has received an award for “leadership, creative thinking and outstanding service” from the Craft Organization Development Association. CERF also got a $75,000 grant from the Nathan Cummings Foundation for spearheading the Coalition for Artists’ Preparedness and Emergency Response. (http://www.craftemergency.org)… Heath Ceramics, the California pottery begun by Edith Heath in 1948 and lately reinvigorated by new owners Robin Petravic and Catherine Bailey, was a finalist for one of the Cooper-Hewitt National Design Museum’s 2009 National Design Awards, in the Corporate and Institutional Achievement category (the prize ultimately went to the Walker Art Center). In July First Lady Michelle Obama hosted a White House luncheon for the finalists and winners, who will be feted in New York City during National Design Week October 18–24. (http://www.nationaldesignawards.org)… The modernist metalsmith Florence Resnikoff has been made an honorary lifetime member of the Northern California Enamel Guild, one of just four in the group’s history. A professor emerita at California College of the Arts and a state-designated Living Treasure of California, Resnikoff recently had three of her pieces—a pin and pendant from the 1980s and a bowl made in 2004—acquired for the permanent collection of the Smithsonian’s Renwick Gallery. 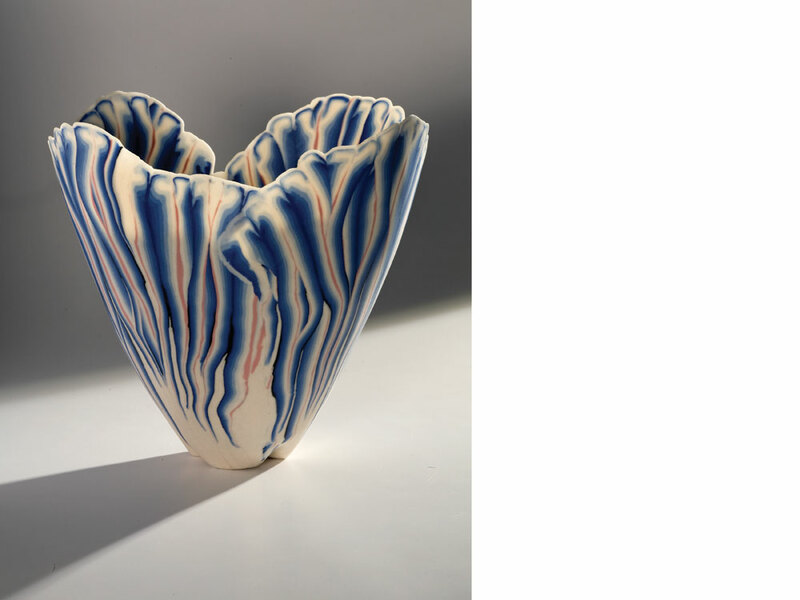 Dorothy Weiss, a dealer who showcased some of the best sculptural ceramics and glass by contemporary artists for over 25 years in San Francisco, died May 30 at her home in Piedmont, CA, at the age of 89. She was a partner in the gallery Meyer Breier Weiss from 1977 to 1984, after which she operated the Dorothy Weiss Gallery until her retirement in 2000. An American will become artistic director of the Stedelijk Museum (Dutch for “municipal museum”) in Amsterdam in January. Ann Goldstein has since 2001 been senior curator at the Museum of Contemporary Art in Los Angeles, where she worked for over 25 years. She succeeds Gijs van Tuyl at the Stedelijk, which is set to reopen its renovated building in 2010… In other news from the Netherlands, Yvonne Joris will depart as head of the Stedelijk Museum ’s-Hertogenbosch (no relation to the Amsterdam institution) as of January 1. Joris became director of the museum in 1988, when it was called the Museum Het Kruithuis… Wyona Lynch-McWhite, former director of the Eleanor D. Wilson Museum at Hollins University, is the new head of the Fuller Craft Museum in Brockton, MA. Founding director Gretchen Keyworth remains as director emeritus and chief curator… Hunter O’Hanian stepped down as president of the Anderson Ranch Arts Center in Colorado to become vice president for institutional advancement at the Massachusetts College of Art and Design, Boston. 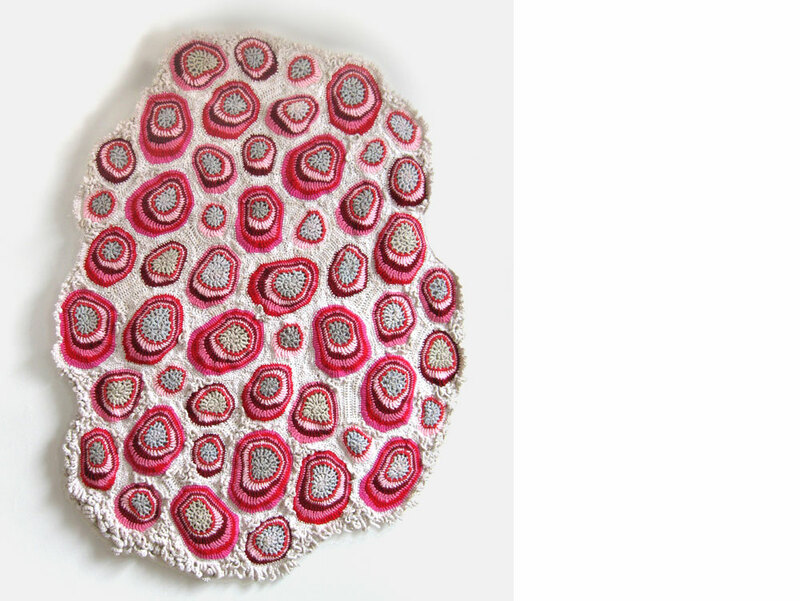 Horizon by Emily Barletta, one of 14 awarded a New York Foundation for the Arts grant in the crafts category. 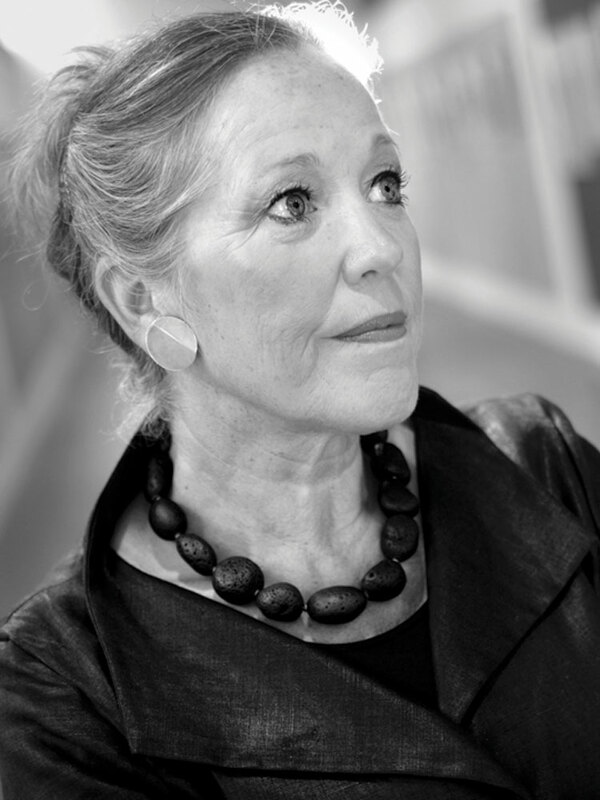 Yvonne Joris, who will retire as head of the Stedelijk Museum 's-Hertogenbosch as of January 1. Photo/Joep Lennarts Fotografie. 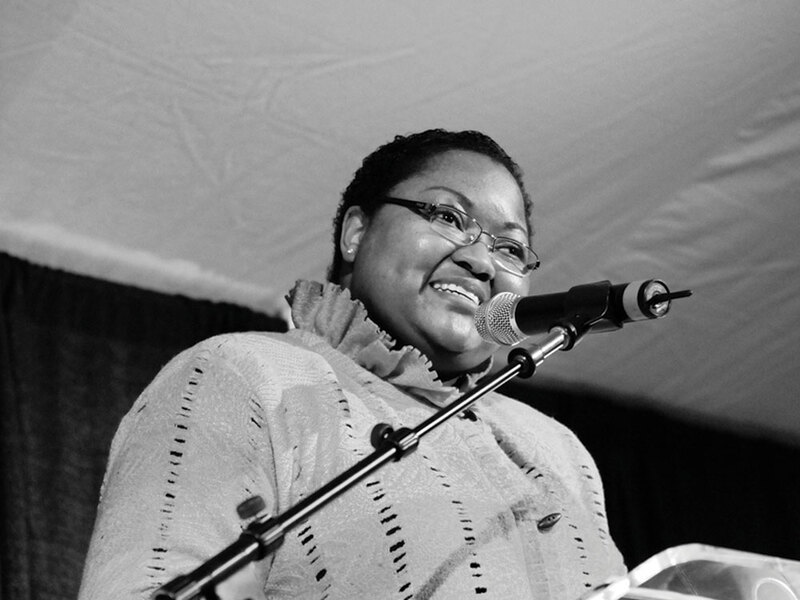 Wyona Lynch-McWhite, the new head of the Fuller Craft Museum in Brockton, MA. Photo/Mike Ritter. 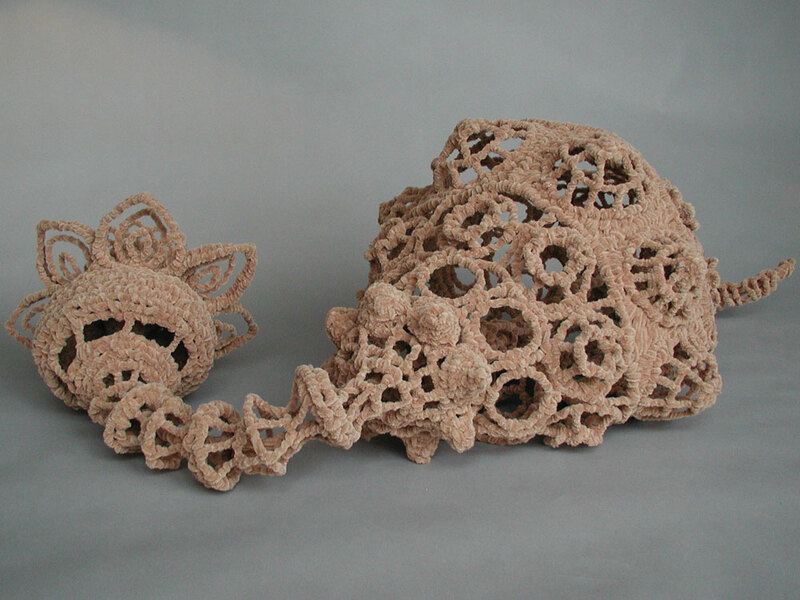 Emily Barletta, Flesh Spot, 2007, crocheted yarn. 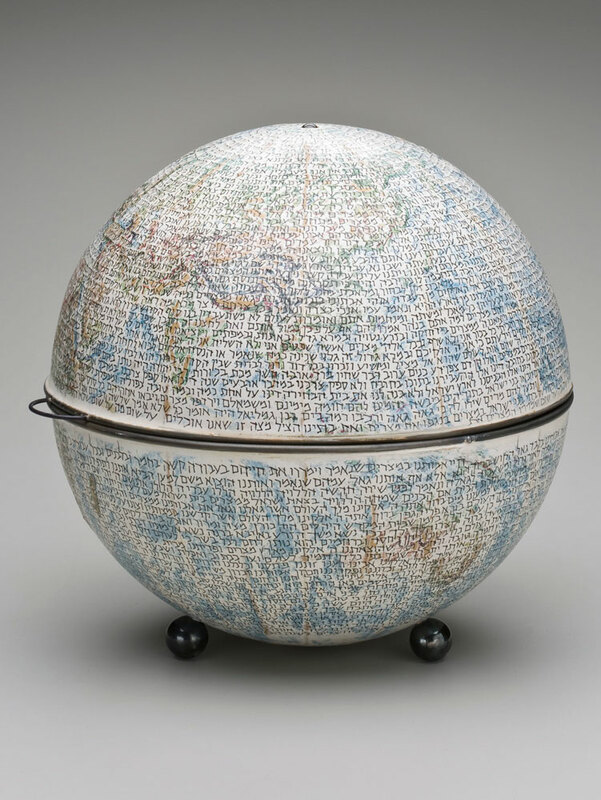 World Book, 2008, by Lynne Avadenka, a Kresge Foundation fellowship recipient. Photo/R.H. Hensleigh. Making Home (detail), 2007, by Abigail Newbold, a Kresge Foundation fellowship recipient. Photo/Corine Vermeulen-Smith. Curtis Benzle's Sculptural Form, 1985. Porcelain, hand-built with inlaid colors. Crocker Art Museum, promised gift of Sidney Swidler. Photo/Jesse Bravo. 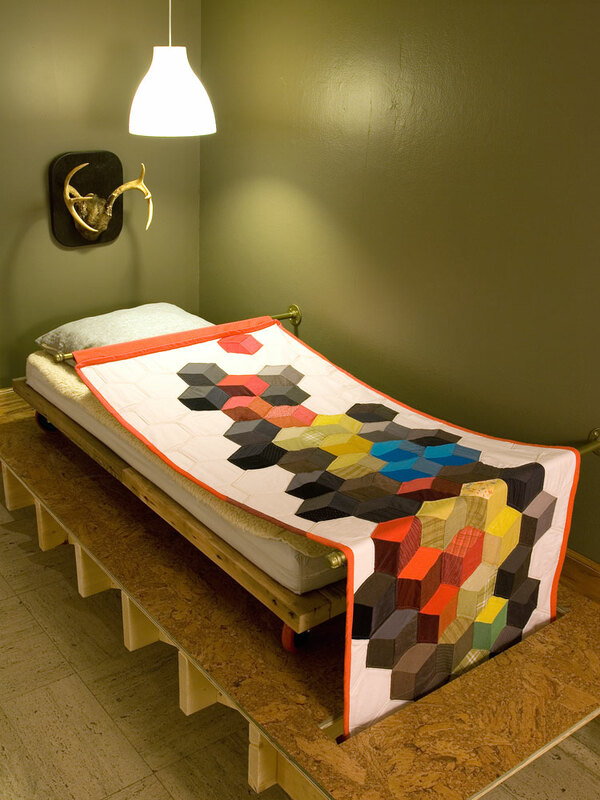 Odalisque, 2006, by Ginger Ertz, a New York Foundation for the Arts grant recipient in the crafts category. Chenille stems. Photo/Charles Steckler. Modifier &1, 2008, by Russ Orlando, a Kresge Foundation fellowship recipient. Hand-built porcelain object, porcelain slip and self. 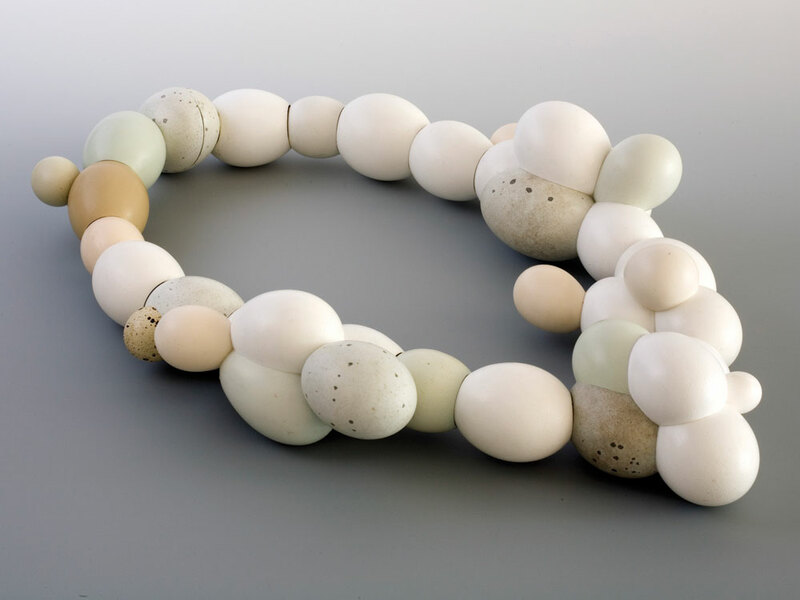 Poultry Accumulus Necklace, 2009, by Sergey Jivetin, a New York Foundation for the Arts grant recipient. Egg shells, carbon fiber, gold, steel. Photo/Thomas Jack Hilton. 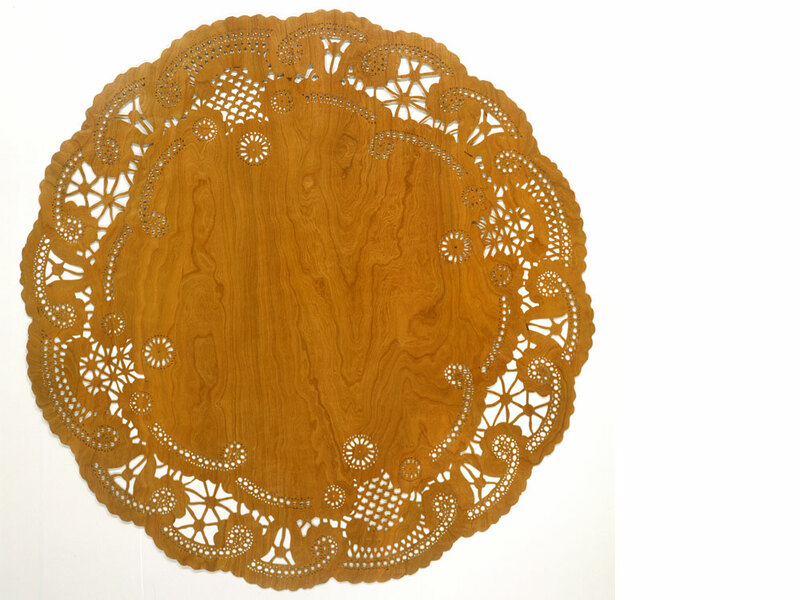 Untitled (Round Doily), 2004, by Susanna Starr, recipient of a New York Foundation for the Arts craft fellowship. Hand cut cherry wood veneer. 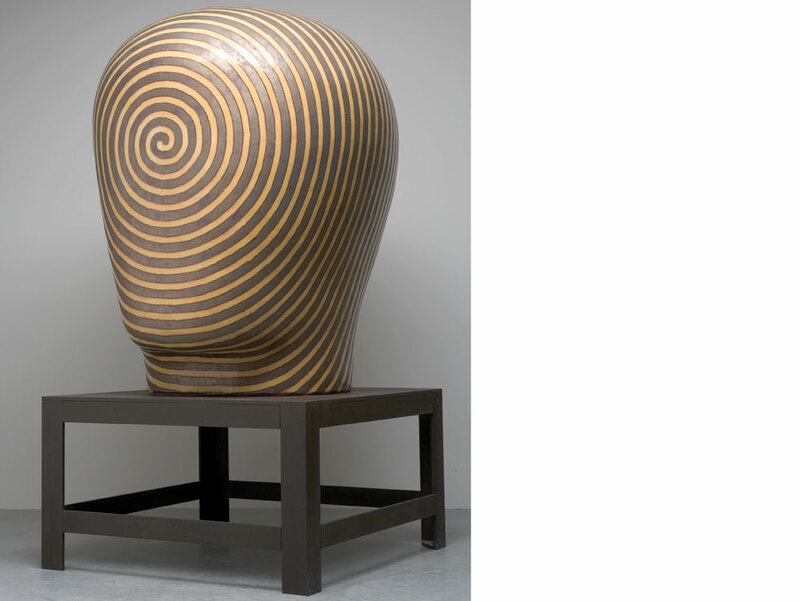 Jun Kaneko,Untitled, 2005, glazed ceramics. Collection of Joslyn Art Museum, Omaha, NE. Museum purchase with funds provided by Cathy and Troy Perry, Susan and A.J.Thomas, and Jan and Charles Vrana in memory of Jacqueline and Ernest Vrana, 2009. 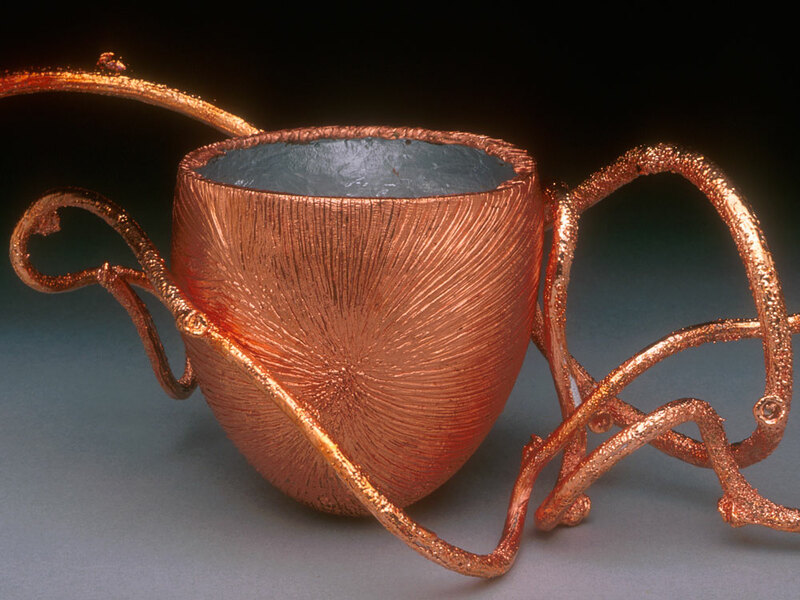 Florence Resnikoff, Vortex Bowl with Curly Willow Vines, 2004, electroformed copper bowl, silver interior, Curly Willow vines. 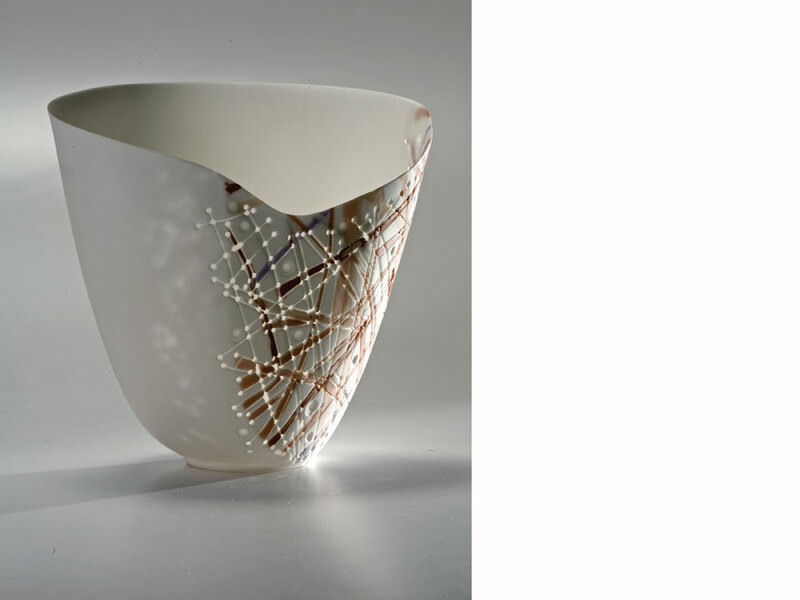 Angela Verdon, Translucent Vessel, 1983, Bone china. Crocker Art Museum, promised gift of Sidney Swidler. Photo/Jesse Bravo. 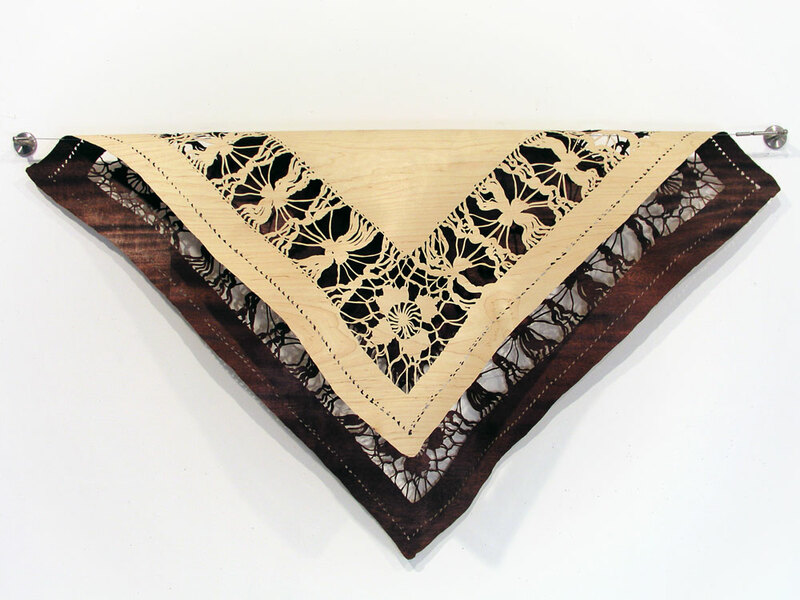 Susanna Starr, Untitled (Folded Handkerchief), 2008, hand cut Maple and Mahogany wood veneer with steel cable. Gifts, Grants, Inspiration and Remembrances. Artists, their works and their booths receive recognition at the Council's Baltimore and Atlanta shows. Notes and news from the world of craft, including memorial tributes to major figures.